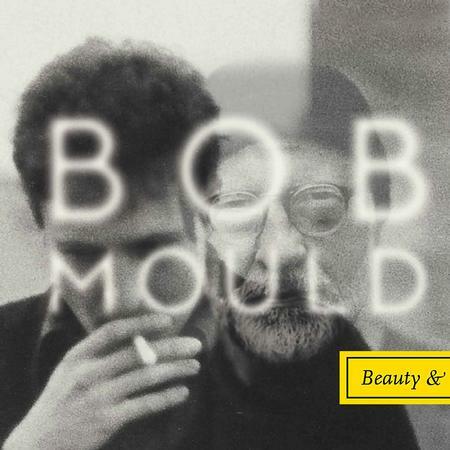 In the past few years, former Husker Du frontman Bob Mould is experiencing a resurgence of sorts. In 2012, he released the excellent Silver Age album and has been touring expensively since in support of both his newer material, the 25th anniversary of Workbook and Sugar‘s Copper Blue 20 year anniversary. This week, he released a highly anticipated album called Beauty & Ruin on Merge. Unlike many other musicians of the 1980s/1990s punk scene, Mould has aged gracefully and his music reflects that. Sure, there were some bumps along the way but he is making some of the best self-aware rock music of the decade. The album starts off with “Low Season,” a song that lures the listener in slowly with roaring guitars. Then everything gets nuts with “Little Glass Pill.” “Hey Mr Grey” is a self-depreciating song about Mould growing older. “Let the Beauty Be” is a beautiful acoustic song that could easily sit next to any Copper Blue material. For the track “I Don’t Know You Anymore,” the band stars in a parody music video where a bizarro-Colin Meloy informs Mould that extensive touring and massive setlists do not lead to success in the 2000s. The way to find success, Meloy exclaims, is through shameless self-promotion, celebrity cameos, packaging, and “making people believe it will make their lives better…that they can’t live without it.” Genius. Overall, the album is very good. Some tracks are loud ballads. Some tracks are slower acoustic songs. One thing is true: Mould is effective at capturing aging with humor and grace. Lyrically and musically, he (along with the drumming of Jon Wurster and bass of Jason Narducy) keep things interesting while introducing fresh pieces. This is a great achievement for someone who has been making music for over 30 years. Parquet Courts know how to emulate the 90s post-punk sound. In their latest album, Sunbathing Animal, their guitars are fuzzy, their vocals are lackadaisical, and their back-up vocals are more like call-and-repeat aimed at audience participation instead of for harmonious musical value. This album, a follow-up to 2012’s excellent Light Up Gold, exists across the spectrum. “Raw Milk” and “She’s Rolling” are two songs where Stephen Malkmus’s influence is felt the most. There are some dance-ready songs, like “Ducking & Dodging,” “Back In Town,” “Vienna II.” Of course, its not really “dance” music. Its more like upbeat, nodding music, best listened to with friends and drinks. This band could exist in the 1990s or now in 2014, when the 90s revival seems to be happening all over again. 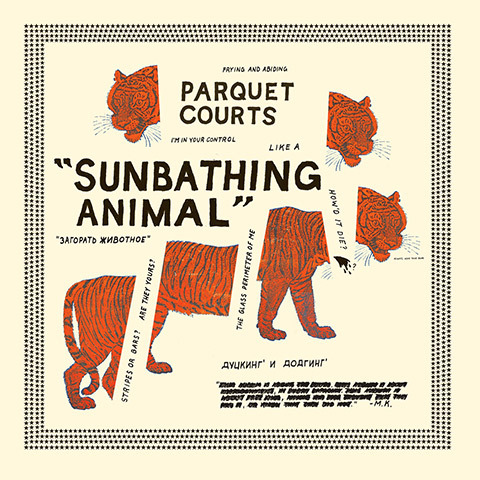 Everything old is new again and Parquet Courts are committed to that sound. This may not be their mainstream breakout album but they continue to churn out a product for people who yearn for the post-punk sound in 2014. Andrew Bird released a new album this week called Things are Really Great, Sort Of…. This title rivals Morrissey’s forthcoming album, World Peace Is None of Your Business as my favorite title of 2014 so far. Another notable release is from Fucked Up. In their latest album, Glassboys, they live up to their name, yet again, with another irate, howling punk album. After only a few listens, this album is an undeniable follow-up to 2011’s David Comes to Life. I look forward to giving it more listens in the coming weeks.